Nine Dot Studios has posted the fourth and final Dev Diary for upcoming open-world survival action RPG Outward, this time showcasing the game's local and online co-op features. Check out the video below. In case you missed it, you can check out the previous videos showcasing a general overview, exploration, and combat. 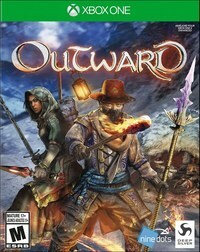 Outward will release tomorrow on March 26 for PlayStation 4, Xbox One, and PC.